This article was written prior to the launch of the Ontario Budget. For final details on the child care tax credit, read 2019 Ontario Budget: Protecting What Matters Most. 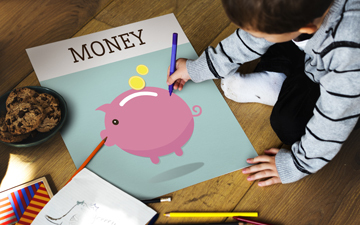 TORONTO, April 14, 2019 – Premier Doug Ford’s government in Ontario is expected to announce a tax credit for child care expenses in its first budget. A child care tax credit would fulfill a major campaign promise from last year’s election. When campaigning, the Progressive Conservative (PC) Party said it would “create a 75 per cent refundable tax credit for child care costs” for children under age 15 with lower income families receiving the most support at a maximum of $6,750 up to age six. If a person gets $6,750 at a rebate rate of 75 per cent, this means the expense limit is $9,000 — a figure below the annual cost of good-quality child care for preschool children. Ford must know by now that the tax credit for child care expenses will be much more costly to government than was claimed in the election. This presents a dilemma. According to the mantra “ promises made, promises kept,” he cannot renege on his campaign promise to improve child care affordability. Gordon Cleveland is an associate professor emeritus of economics at the University of Toronto. This article is republished from The Conversation under a Creative Commons licence. Ontario elects Doug Ford Premier. What does it mean for Canadian accountants?